With a swim spa, you experience all the fitness benefits of a full-size pool without the hassle, price or ongoing maintenance. What could be better? 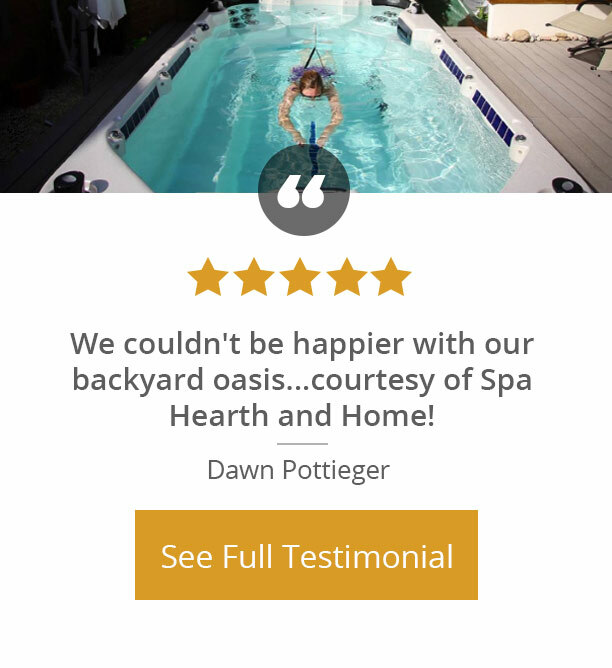 As the newest innovation in backyard recreational and fitness options, a swim spa gives you and your family the opportunity to swim, day or night, at your own pace. Forget about going to the public pool, having to deal with crowds, dirty locker rooms and overly ambitious swimmers blocking your way. With your own private swim spa, you call the shots, enjoying your aquatic workout without hassle or inconvenience. With a variety of sizes and styles available, we offer you the ultimate luxury of a home swim spa at an affordable price. 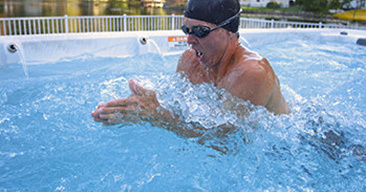 Set your own aquatic exercise regimen, at your own pace, enjoying all the benefits of increased strength and improved joint mobility. 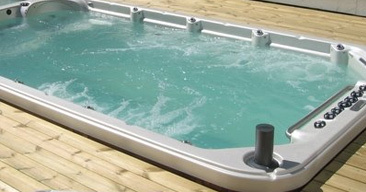 Equipped with a full range of exercise accessories, your hot tub spa can be customized to your specific needs. Visit our showroom today to check out our 25+ swim spa options. Backed by our own in-house service and repair warranty, our spa store guarantees your purchase, giving you the buying confidence you deserve.